Siargao totally surrendered to a bad weather on that Saturday noon as we ended the island hopping activity. We immediately packed our stuff in Patrick’s on the Beach resort to transfer to another one in the island, Buddha Surf Resort. 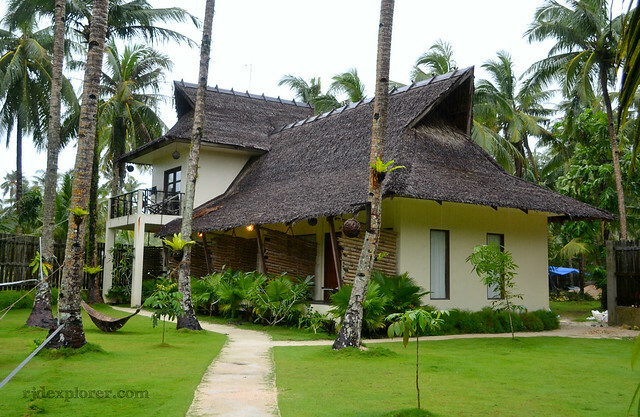 The resort is rated as the number one hotel/resort in Siargao Island on TripAdvisor and we were very eager to try it out. On a rainy afternoon, after finishing all the activities listed on our journal, we intended to just relax, lounge, and feel the comfort of staying away from the big waves of Siargao. Perfectly located between Cloud 9 and General Luna proper. Actually, the resort is not a beachfront, but who cares? With the big waves in the island that creates a rumbling sound when it crashes, I found the area to be serene and relaxing. The location is much accessible to everyone with tricycles and habal-habal passing by the resort most of the time. Very friendly and accommodating staff. It was raining when we arrived at the resort. The manager approached us right away as we made our way to their counter. After she confirmed our reservation, a staff on her full smile, handed our key and led us to our room. Moreover, when we needed smaller bills to pay for the habal-habal ride, they lent us some. They even talked to the driver when they found out that we were overcharged for the fare. Aside from that, they were the ones who contacted the tricycle driver who brought us to Dapa the next day to catch the earliest ferry to Surigao City. Great place to hang-out. If waiting for larger waves is too boring, you can go back to Buddha to hang-out and try the different activities available. The garden of the resort, covered with green Bermuda grass, has hammocks that you can use to take a nap or a place to read a book. In addition, the upper floor of the restaurant is a place where you can have meditations (yoga) or do simple exercises to flex those tired muscles. 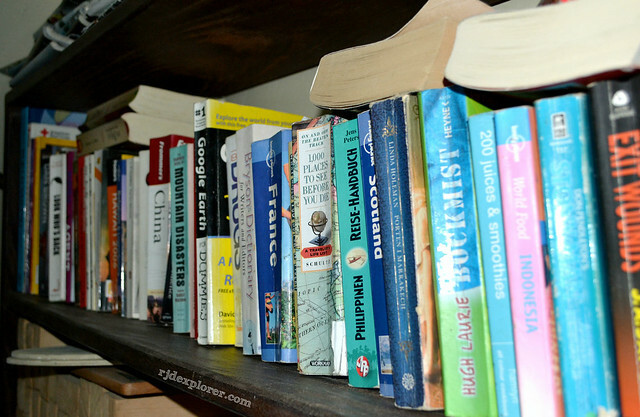 They also have a shelf of travel related books, with some on different languages. They also offer surf camps with the island’s best and experienced surfers who can impart knowledge not only in surviving the waves of Siargao but also the best spots to try. They have surf packages from beginners to advanced that include accommodation, breakfast, surf lessons, board rentals, transportation, and tours on Siargao attractions. By the way, equipments for kitesurfing are also available. Hassle free Siargao tour options. If by chance you made yourself bored in the resort, you can ask the staff to organize a tour on the different attractions of Siargao Island. The famous island hopping adventures in Naked, Daku and Guyam islands can be availed at Php700/person including lunch, minimum of 3 people. The resort has no man-made swimming pool, but they can bring you to the natural tidal pools of Magpupungko. They also cater tours to Sugba Lagoon, and Sohoton Caves. Minimalist room interiors. Our standard room has two beds, a queen and a single bed. The combination of white and blue walls brings cool vibe and revitalizing mood. 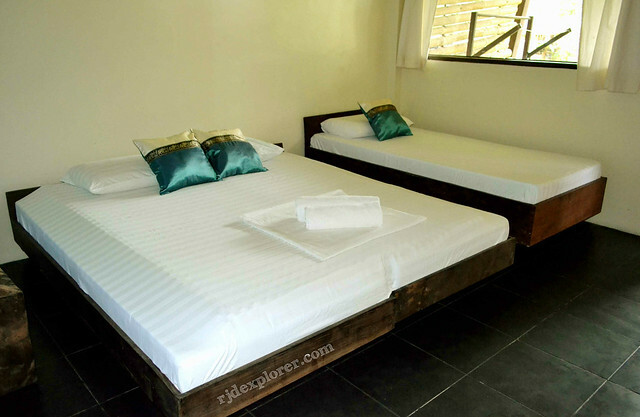 The room has its air-conditioning unit, hot/cold shower, private balcony with deck chairs, and a flat-screen television. Signal reception is sometimes a problem in Siargao Island, and to remedy this, the management provided a hard-drive with dozens of movies. The room was also adorned with Thai-inspired decorations such as a Buddha room number, and elephant carvings. 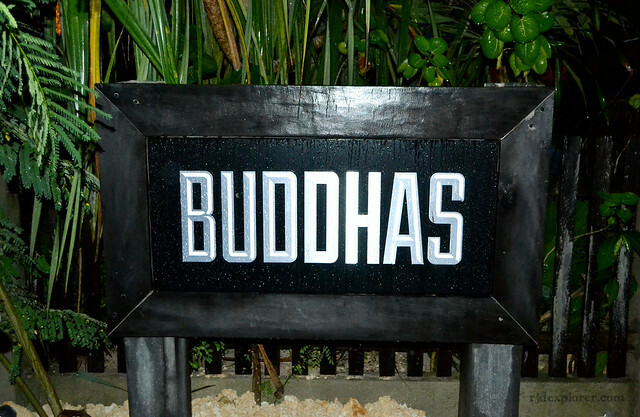 Buddha, as of the moment, has 3 types of accommodation: standard (Php2500/night), superior (Php2950/night), and family (Php3400/night). 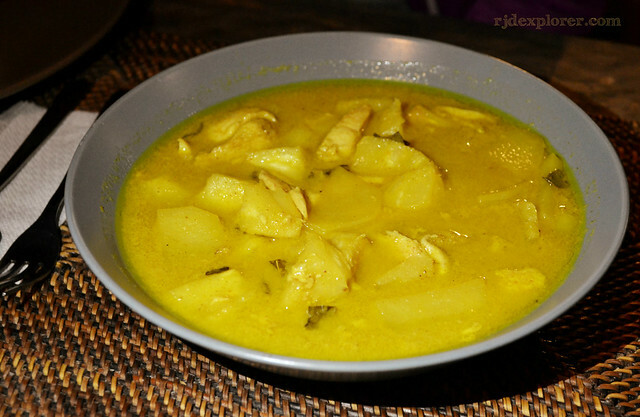 Don’t forget the Thai food. 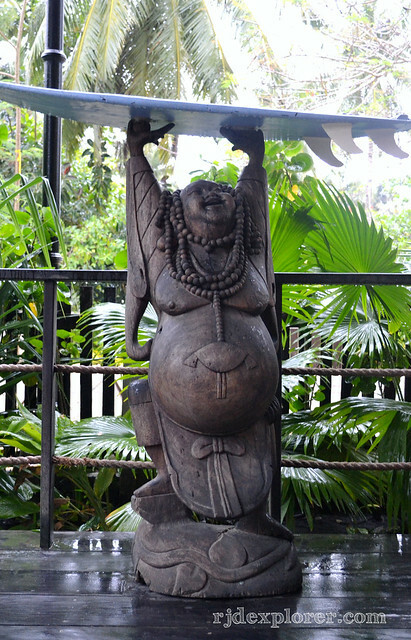 Buddha has its own restaurant which is famous for their Thai cuisine. Pad-Thai is a must on their menu but was not available during our visit. 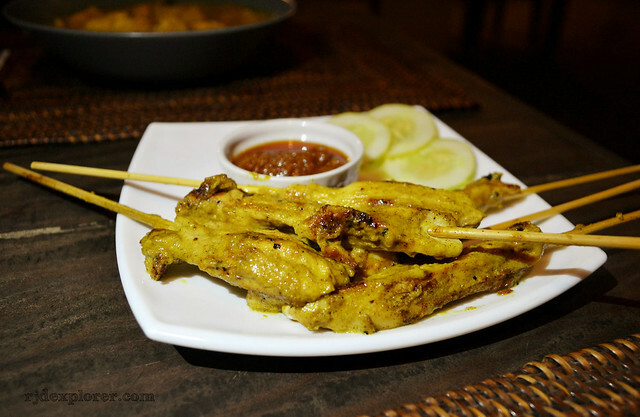 It didn’t ruin our desire though to try Thai cuisine because we had Chicken Satay and Yellow Curry for dinner. The list of reasons above could’ve been extended if we were able to stay longer in the resort. 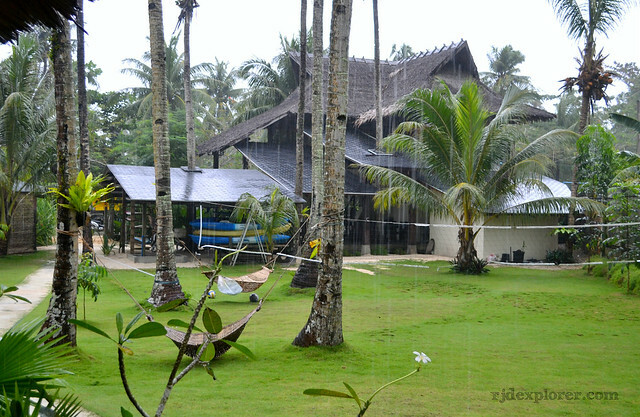 It was raining most of the time and the stay in Buddha Surf Resort brought total relaxation with the serene surroundings and the comfort it truly provides. 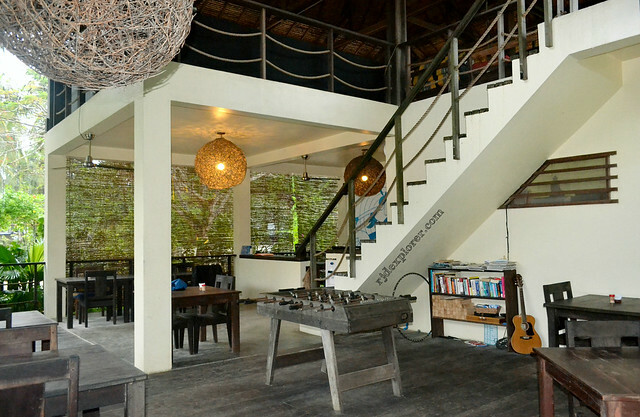 Experience the comforts of staying in Buddha’s Surf Resort in Siargao by booking a room here.